I don’t know about you, but I don’t pay any attention to houses until I’m in the market for a house. I’m the same way about cars and other large ticket items. I guess I’m just not much of a window shopper. Now that we’re in house-hunting mode, however, I can’t stop looking at houses– in person or online. My Pinterest boards are filling up with home ideas for a house I don’t currently possess. Hopefully soon! 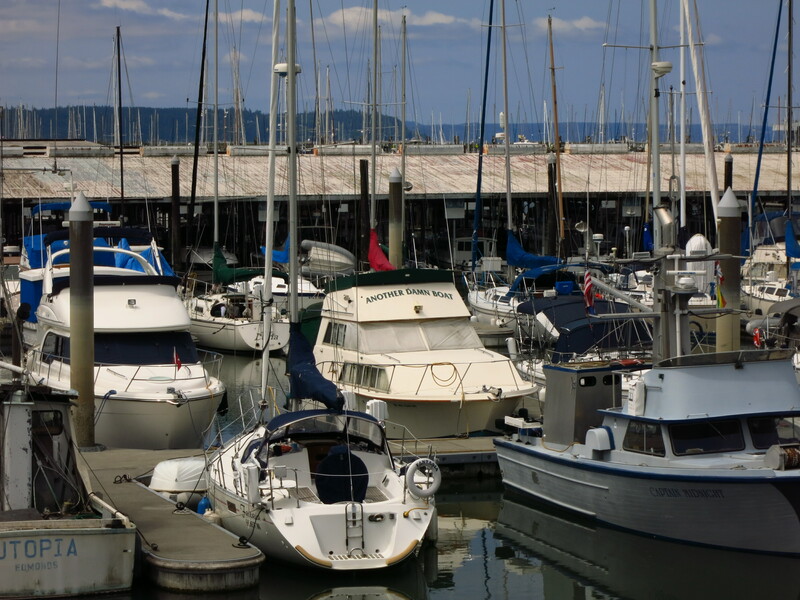 In the interim, we are renting a furnished apartment in Everett, Washington. 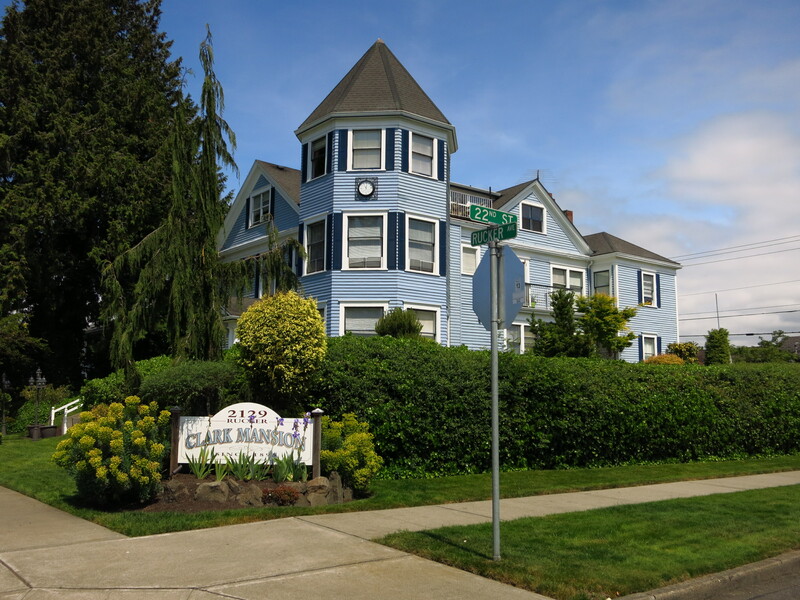 We’re in one of several units in a converted 1895 house known as the Clark Mansion. It has a lot of character, but I’m quickly becoming convinced I don’t currently possess the patience to maintain an old home, no matter how beautiful. Our temporary housing is just a couple of streets from Possession Sound, which is just north of Puget Sound, and on clear mornings we have awesome views of the Olympic Mountains over the water. We’ve been seeing the peaks fairly often during our morning runs down our street. I’m so glad we’re back into a workout routine, and the mornings have been just perfect for a run. I love looking at all of the old houses and catching a glimpse of the water each time we come to a street crossing. We’ve only been here 10 days, but we’ve already started exploring Everett. We are several blocks from downtown, which has a modest amount of activity thanks to a variety of stores, banks, coffee shops and restaurants. One restaurant in particular caught my attention– it’s called Prohibition Gastropub, and I think we’ll have to check it out soon. We’ve been able to walk to several other fun activities in the last week as well. 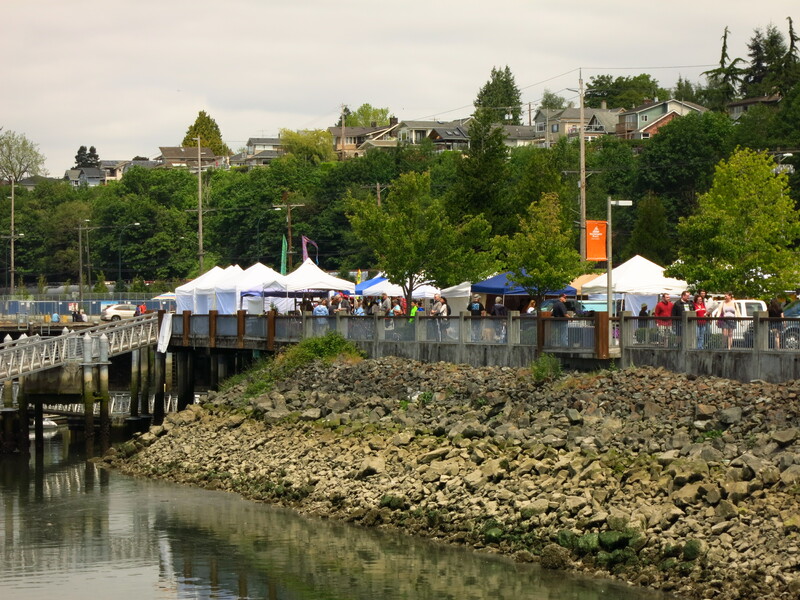 We had barely arrived when my husband called my attention to a decent sized farmer’s market that takes place on the water every Sunday in Everett. 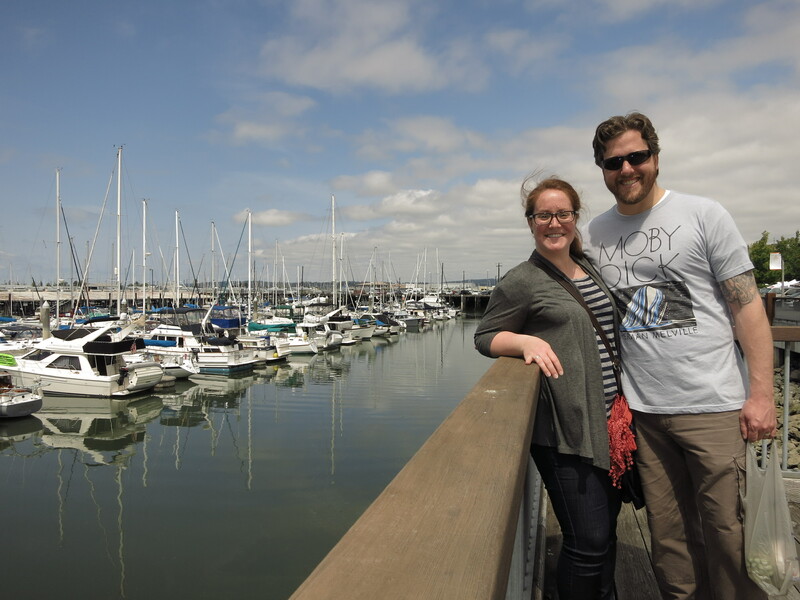 The weather has been beautiful so we decided to tackle the 20-minute walk from our apartment. I didn’t mind the walk, just that we had to limit our purchases to what we would be able to carry back to the apartment. I think this was probably by my husband’s design–I’ll take a backpack next time! There were a nice mix of stands, everything from produce to meats and cheeses to fresh bread and baked good to honey and jams and more. We headed down around lunch time so we also patronized a stand selling pulled pork sandwiches before wandering around. There were several stands selling ready-to-eat fare, but we split the sandwich and then shared a delicious pear and almond tart from one of the other stalls. I limited my purchases to a round of petit brie and two HUGE bunches of asparagus. Steamed in a little water throughout the week– perfect. I can’t wait to walk back down in the following weeks! After we survived our first full week we decided to check out a little bistro that’s about a 10-minute walk from our apartment called Under the Red Umbrella. This is my kind of place! Overstuffed furniture surrounding an open corner for live music on Fridays, deli counters filled with salads and lighter fare for lunches, a more formal seating area for serving dinner, and a cute series of bar stools in front of a well furnished coffee bar. We went on a Friday after dinner to hear the music (of course! ), and I was introduced to a new favorite red wine called the Gertrude. Technically it’s the La Maialina Gertrude, which is a Cabernet Sauvignon-Merlot-Sangiovese blend from Tuscany. Delicious! I can’t wait for next Friday, when the music will be performed by a husband-wife duo that perform songs from the sea–many of them inspired by Irish folk songs (swoon!). 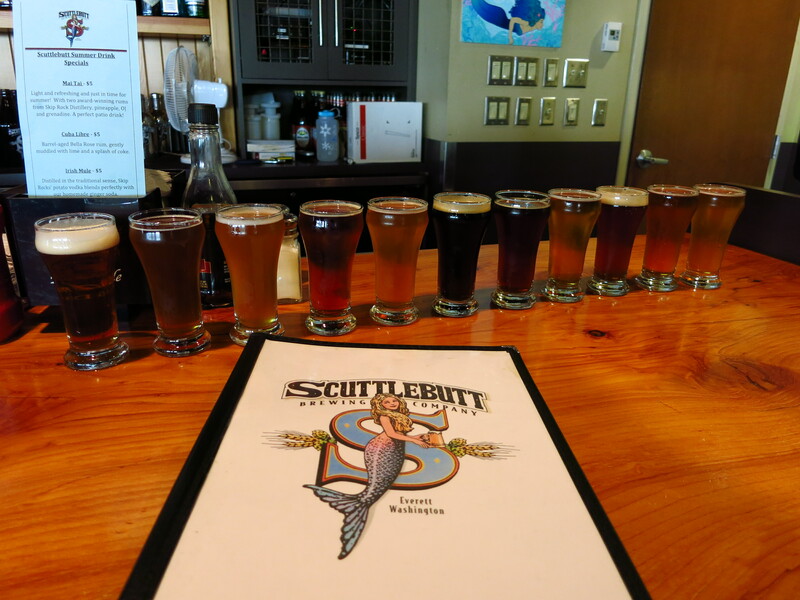 We took advantage of the extra day off during the holiday weekend to check out one of the local brewing companies, ScuttleButt Brewing. I kept seeing the word scuttlebutt on things, and when we finally stopped in the corner store we found out it was the local beer. And by local, I mean brewed in Everett! We went to the manufacturing facility after we drew a blank trying to find information about brewery tours online, and it turns out they just do tours by appointment only during the week. Didn’t fit into our weekend plans, but we will definitely check it out sometime soon. Instead we decided to make the 30-minute walk to the restaurant, which is on the sound north of where they hold the farmer’s market. It was a nice walk along the water and train tracks, and there was actually quite a bit of activity in the waterfront complex where the restaurant is located–there was a wedding, a local distillery (that’s now been added to our list) and a series of historical markers and historical goods inside the complex. Apparently Everett was the epicenter for casket manufacturing back in the day– much of the paraphernalia was on display in the complex. The restaurant was already buzzing when we arrived around 4 p.m., but we grabbed seats at the bar so we could get a few snacks and try the sampler in lieu of dinner. My husband was ECSTATIC when he discovered they had jalapeno bottlecaps, which he had only ever seen when he traveled in West Virginia during a previous job. They are round slices of jalapeno , lightly breaded and fried and served with ranch or a spicy dipping sauce. I love spicy food, and these things were addicting. We shared those along with toast points and a beer cheese dipping sauce. I know, I know– calorie nightmare. Thank goodness we’re running every day. 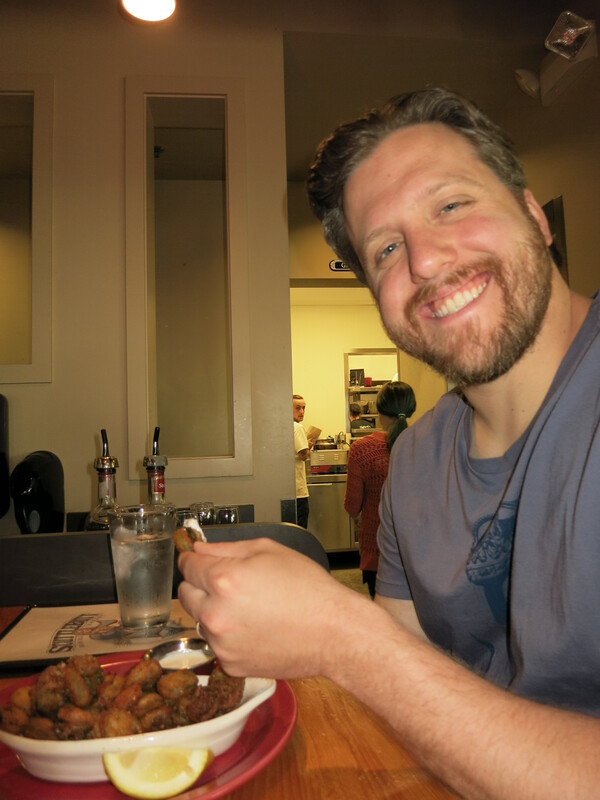 I thought the hour round trip walk to and from the restaurant would also help burn off some of the calories–before I found out the sampler includes 11, 6 oz. pours! It took us the next two hours to share the sampler, and I was surprised at home many of the beers I liked. Tons of people were grabbing growlers on their way out, but I tip my hat to the Triple 7 Belgian-style ale–by far my favorite. We will probably be back to all of these spots during our time in this temporary housing, but I also look forward to exploring more of Everett!